Stay local and buy independent if you want the best turkey and trimmings, shoppers say. Which? 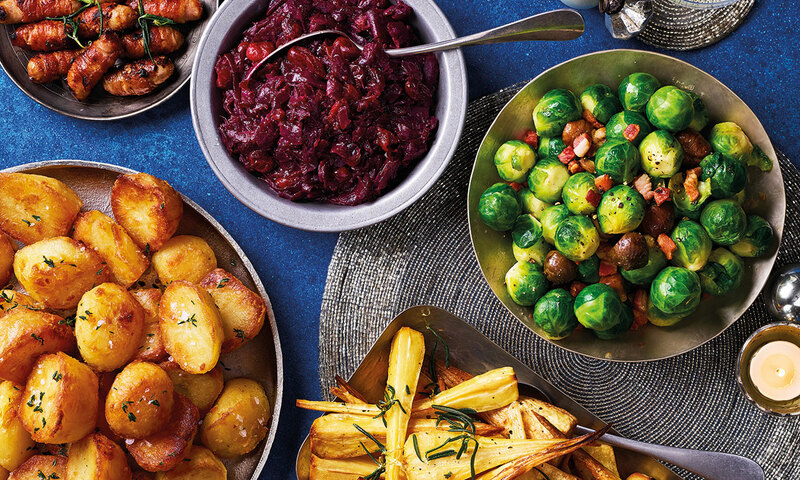 members voted independent shops the top place to buy all the ingredients for Christmas dinner in its annual festive food survey. If you don’t have independent stores nearby, the message is to mix up the supermarkets you shop at to get the best-tasting turkey, vegetables, chipolatas and stuffing. Find out what we voted Best Buy mince pies, Christmas puddings, champagne and gin. If you want the best Brussels sprouts and other Christmas vegetables, head to a local greengrocer or farmers’ market. Farm shops came in third place in the survey, while veg box schemes scored highly in fourth place. Aldi and Lidl in joint fifth place (both with an 81% customer score) were voted top supermarkets for vegetables. Both received an excellent five-star rating for value for money. They were closely followed by M&S (80%), Ocado (80%) and Waitrose (80%), who also scored well for taste and quality, but didn’t fare so well for value for money. Shoppers recommend their local butcher (89%) or a farm shop top for the tastiest chipolotas, while Lidl (82%) and M&S (78%) are the favourite supermarkets . Farm shops scored an impressive 92% top score for the best place to buy stuffing, although you won’t go wrong if you have an Aldi (80%), M&S (76%) or Waitrose (76%) nearby. Some 21% of shoppers told us they count a Yorkshire pudding as an essential trimming. Yorkshire pudding on Christmas dinner? 21% of Which? members serve Yorkshire pudding on Christmas dinner. This sparked controversy in the Which? office. Some cried heresy, while others couldn’t contemplate their Christmas dinner without a pudding. Does your Christmas dinner include a Yorkshire pudding? First choice to guarantee a cracking turkey with top marks for taste and quality was the nearest turkey specialist or turkey farm. In second place was the local butcher. Farm shops and independent food retailers came in third and fourth, respectively. Lidl was top of the supermarkets for turkey for the second year running, with an excellent value-for-money rating. Also offering a better-value bird were Aldi and Iceland in second and third places for supermarkets. 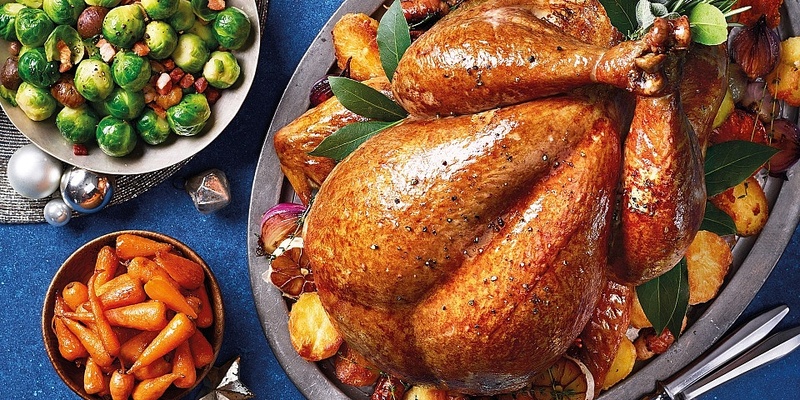 Tesco was the only retailer to score just two stars for taste and the quality of its turkeys, although 73% of its customers were still satisfied and 75% were willing to recommend it. Back in January, we surveyed 5,251 Which? 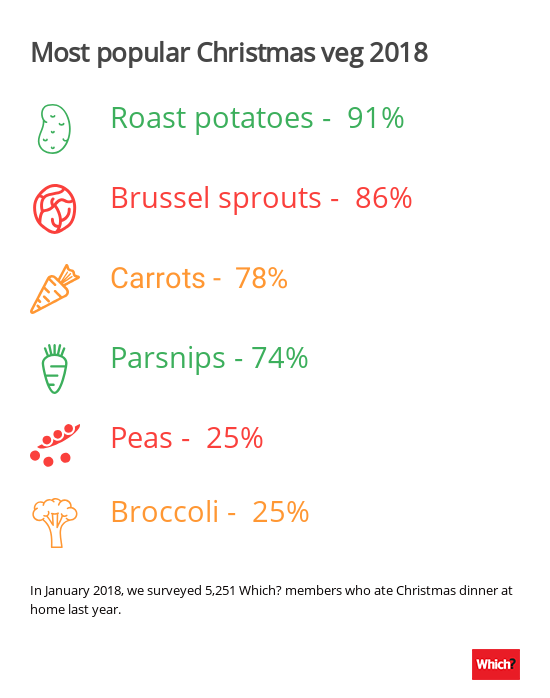 members who ate Christmas dinner at home in December 2017 to find out how they rated the shops and supermarkets for turkey and all the trimmings. From our survey results, we calculated a customer score for each retailer based on how satisfied customers were with its food and how likely they would be to recommend the retailer to a friend.